When my review code for the Homeworld Remastered Collection arrived in my email on Sunday, I squealed like a little kid on Christmas morning. I love Homeworld. It's been one of my favorite games since I first pulled it out of a bargain bin in 2003, and Gearbox's re-release has been probably my most anticipated game launch in years. So let me just get it out of the way and say that if you've been looking forward to this like I have, you won't be disappointed. 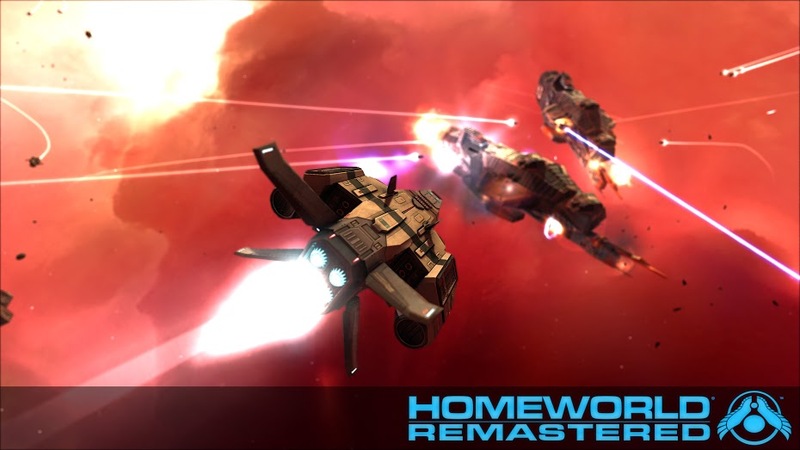 The remastered edition of Homeworld 1 (I'm going to start playing 2 after I write this review) is good. It's better than good. Wrapped up inside Gearbox's re-release is an experience that's almost as epic, majestic, unique, and captivating as the classic we all fell in love with at the turn of the century. The quantifier there, of course, is almost. But we can talk about that more in a moment. 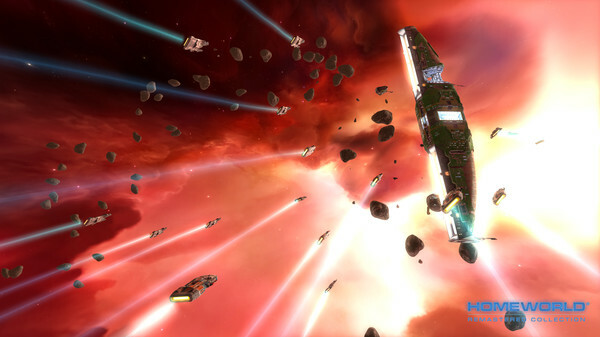 For those new to the franchise, Homeworld is a real-time strategy game that follows the story of the Kushan. A race of people living on a barely habitable desert world, their culture is shaken to its core after they discover the ruins of a spaceship that reveals that their ancestors actually came from another world. Intent on finding their homeland, they build a gigantic mothership and plan a mission to seek out the planet of their origins. Their plans fall to pieces, however, when a hyperdrive test brings down the wrath of an interstellar empire hell bent on halting their quest. With their civilization left in ruins, the last Kushan survivors flee to the stars where they must fight against the odds to survive and uncover the secrets of their long lost home. Homeworld's story has always been one of its biggest draws for me and I can happily report that it remains perfectly intact in the remaster. Its hand drawn cinematic scenes have never looked better and the dialogue and soundtrack do a wonderful job of forwarding the plot while also creating some surprisingly genuine drama. You wouldn't think you could care so much about a bunch of faceless spaceships, but I'll be damned if I don't find myself personally invested in the fate of the Kushan every single time I play this game. The whole thing is just incredibly cinematic and manages to strike a chord of epic scale and grandeur that's unfortunately somewhat rare in this genre. 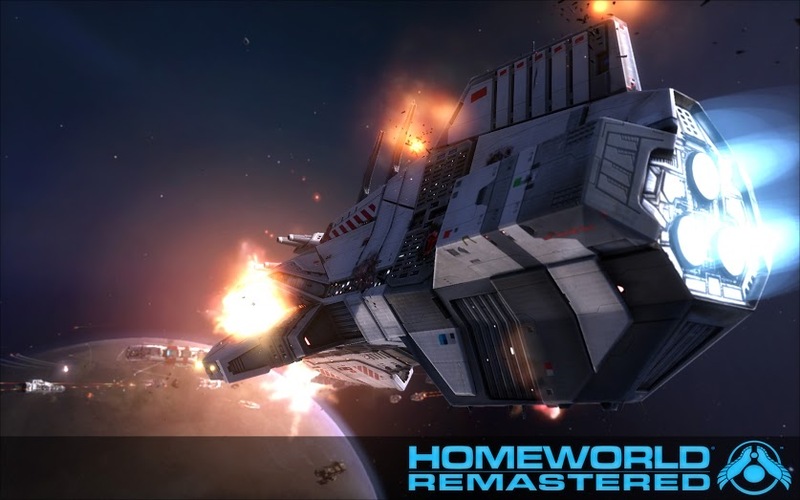 Sadly, while Homeworld Remastered keeps the story intact, it makes some big and, in places, unfortunate changes to the original's gameplay formula. Its basic shtick -fully 3D space-based RTS- is still there and working, but Gearbox clearly made efforts to bring the game's overall experience closer in line with its sequel. And while this might not bother others as much as it did me, I was frequently left me feeling like it forced Homeworld to sacrifice a lot of what made it special and, in my opinion, better than Homeworld 2.